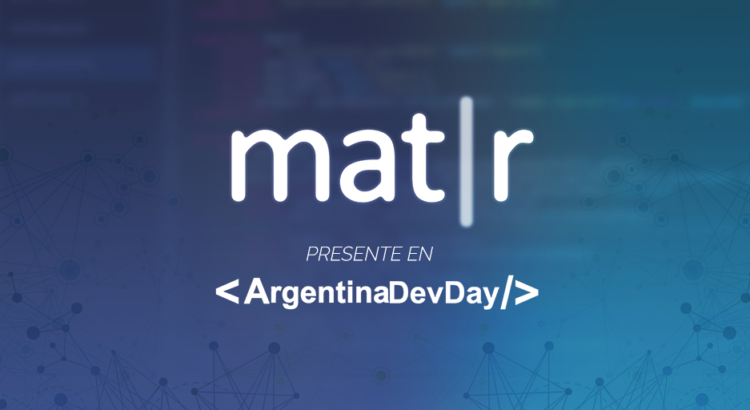 Mat|r was introduced in the event of ArgentinaDevDay in Mendoza. This big event was organized at UTN – National Technological University – and provided the perfect setting for the local community to get together, participate and debate about aspects of interest related to technology. Naturally, Mat|r attended too. It was an event full of conferences, workshops and lightning talks in a framework which aims to gather a community of developers and to introduce and show new technologies. It was a day of learning, exchange of ideas and the starting point of our mat|r community. Many devs already joined our platform. Are you ready to be our early adopter?